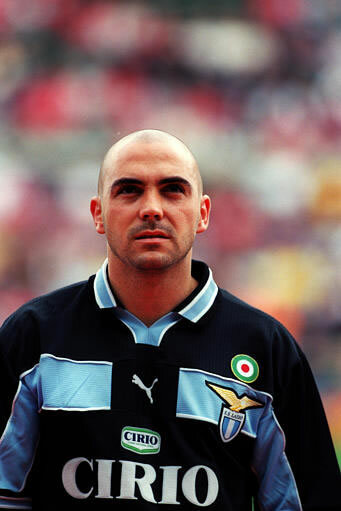 Ivan De La Peña, nicknamed The Little Buddha, left his FC Barcelona in 1998, to join Lazio. De la Peña was recruited by FC Barcelona as a youth player in 1991 and made his debut for the B team in 1993. 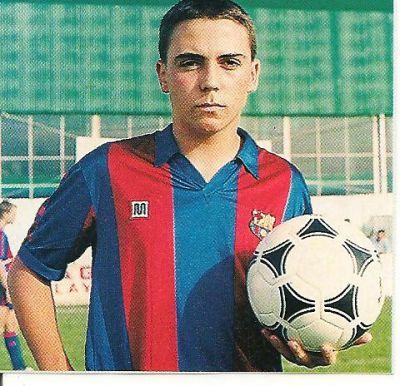 At 19 he was initially regarded as the natural successor to Josep Guardiola. However, he gradually fell out of favour with Cruyff and found himself dropped, although he achieved a career-best seven league goals in that rookie season. With the arrival of Bobby Robson in 1996, de la Peña was given a second chance to establish himself in the team. He subsequently developed a partnership with Ronaldo and was a prominent member of the team that won the Spanish Cup/European Cup Winners' Cup/European Supercup treble in 1997. He was also voted the best young player by El País in both 1996 and 1997. De la Peña found himself out of favour at Barça once again, after the arrival of Dutch coach Louis van Gaal, and he was consequently transferred to Lazio, along with Fernando Couto. However, he failed to establish himself in Serie A and was loaned to Olympique de Marseille during the 1999–00 season. This move was not successful either and he returned to Barcelona, on loan, for 2000–01. 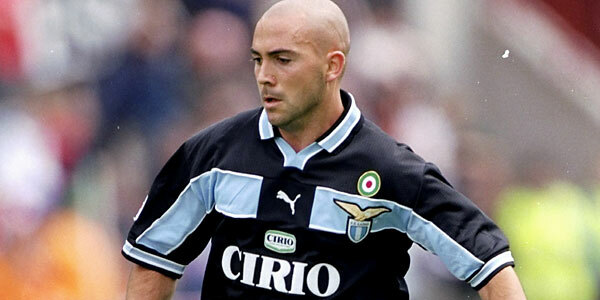 After only appearing nine times, De la Peña returned to Italy, being released from Lazio. In 2002, de la Peña moved to Barcelona neighbours RCD Espanyol, where he found the continuity and stability to produce some of the best football in his career. In 2005 he helped the Catalan outfit finish fifth in La Liga, enabling them to qualify for the UEFA Cup. In the 2006 domestic cup final, de la Peña masterminded a 4–1 victory against Real Zaragoza, setting up two goals. From 2007–09, after extending his contract, De la Peña was severely hindered with injury problems. However, on February 21, 2009, he managed to net twice in a 2–1 derby win at Barça. After the shocking death of new team captain Daniel Jarque, in August 2009, De la Peña was named as his replacement. His physical problems continued to bother him tremendously, to a point which he said that if this became a major issue he would retire, which happened on 22 May 2011 at the age of 35, immediately after a home match against Sevilla. This week he announced his retirement from active football, in an emotional press conference at RCD Espanyol. Adios Ivan, arrivederci Little Budhha !